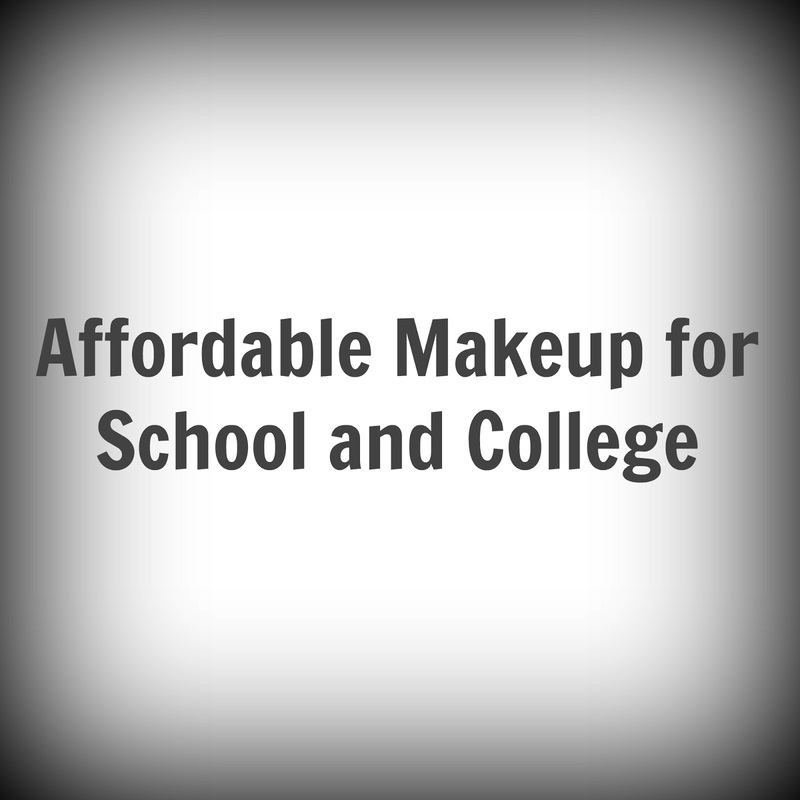 For this post I'm not going to include many bold and extravagant products, as I know many schools (not so much colleges) are quite strict on the regulations for makeup. So I'll be mainly focussing on the basics and subtle products that will be good for everyday use. Affordable foundations can be tricky, as they often don't work well or don't match many skin tones. The best one I have found is from Collection and it's their 'Colour Match' foundation. The colours aren't great for very pale skin, the lightest colour is slightly too dark on my skin but is passable. If you have healthy skin then foundation might also be a bit to heavy on your skin. Tinted moisturiser is a great way to keep your face hydrated but also blend and even out the colour on your face. I have one from Avon and it actually does the job pretty well! If your skin doesn't need much touching up, then I recommend this! Following on is powder, to make sure that your base lasts all day. It isn't needed if you wear a tinted moisturiser, but is always helpful to get rid of oil and shine during the day. If you have read my Everyday Base Essentials (link here if you would like to read it) then you will see that the powder I use most often is Collection's 'Lasting Perfection' powder. 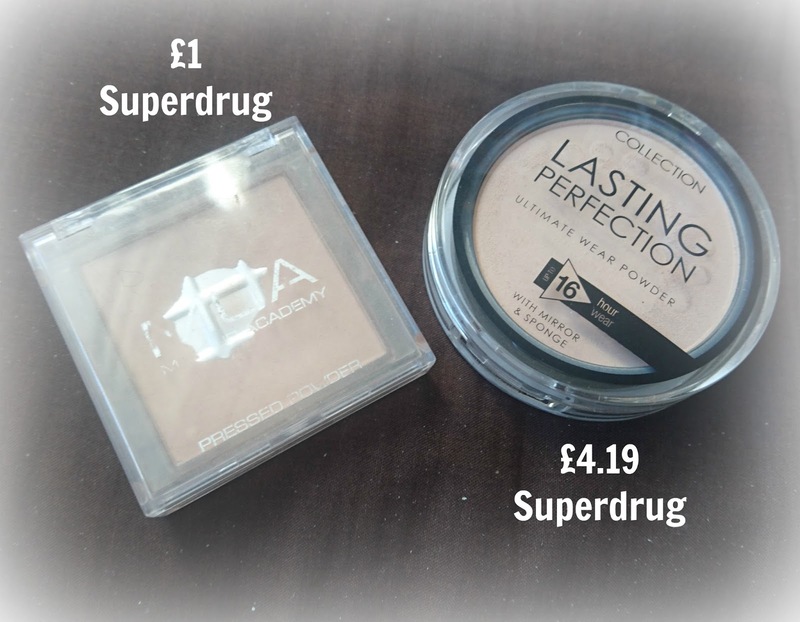 While it's not the cheapest powder, it is one of the best affordable powders I've found. It's creamy and finely milled and sets your foundation all day. 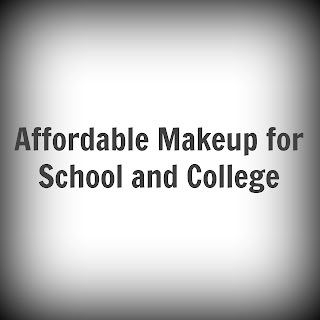 It gives a flawless finish and looks great on the skin. If this is a little over budget, then an alternative is the pressed powder from MUA. I don't think it's quite as good as the Collection pressed powder but I definitely think it does the job well for the money! If your brows are something to focus on, Collection do a brow kit which contains powders, a brush and a brow gel. It contains 3 different brow shades, so you can mix them to match your brows, and it also come with a small brush, so you don't have to fork out more money for that! The brow gel is clear so if you don't want to add any colour to your brows you can always just set them with the gel to keep them in place. There are a few different shades of kit to choose from, depending on your brows. I know that eye makeup is one of the main problems at school and college, there is a very fine difference between being subtle and wearing too much - in school terms anyway. So when choosing eye makeup it's important to be careful and keep it natural. I think one of the best things to do would be to select individual eye shadows, as these can be quite cheap and at least add definition to the eyes. MUA do lots of different shades of individual shadows. So they can be bought easily and mean that you can create a very simple look using only a few shadows, without an expensive palette. The MUA shadows can sometimes be hit and miss, some are good quality, while others are very chalky and don't give much colour payoff. So be sure to use the testers when deciding which ones to buy! Pencil liners are a great way to add definition to the eyes and make your lashes appear thicker. 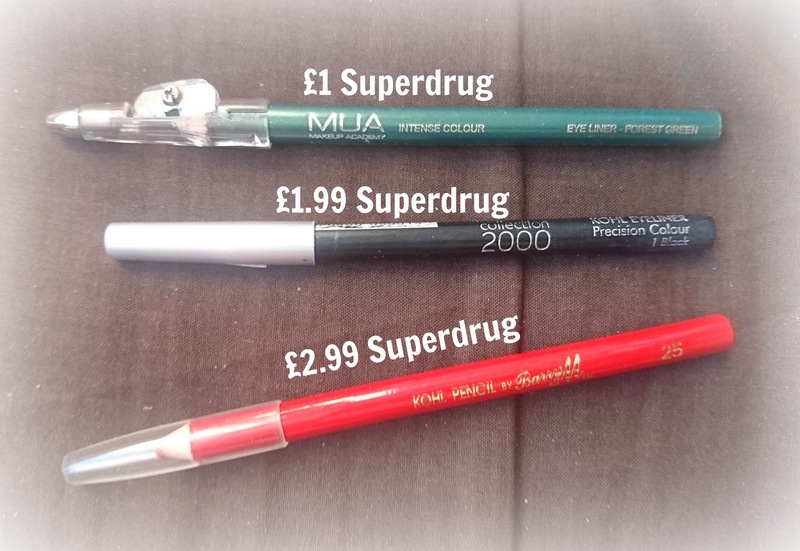 There are some great pencil liners from very affordable brands and some offer a good variety of shades. 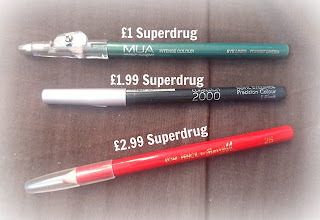 My favourite pencil is from Barry M. Their pencils are very creamy, and while I only have the red pencil, I think that they are great quality and easy to blend to create a subtle smokey look. Another way to add definition is by adding either a liquid or felt liner to your upper lash line. I prefer felt liners as I find them easier to work with and don't have to keep dunking the applicator back into the liquid, depending on the brands you buy can also affect the longevity of the product however. I have found that, although affordable, the MUA felt liner runs out incredibly quickly and can be hard to apply once the nib starts drying out. I've tried out my fair share of felt liners and found that one of my favourites is one from Collection. The nib is precise and the liquid comes out evenly. There are a range of colours to choose from and it lasts a long time. I've also heard many good reviews about the Miss Sporty felt liner, but I haven't tried this yet and might buy it when my current liner runs out to see if I can find another favourite. If eyeshadow and liner have been applied, then the lashes can sometimes get washed out. Mascara is a great way to finish off a look, but can define the eyes if used alone. 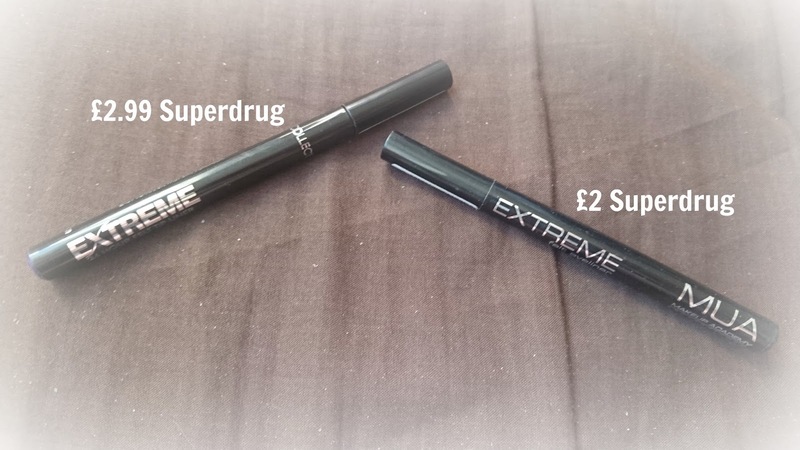 Many mascaras claim to enhance a certain effect but end out just adding product to the lashes with little difference, especially cheaper mascaras. I have a few mascaras that are affordable and DO make a difference. The first one is the Aqua Max mascara from Technic. This lengthens the lashes and seems to contain fibres to create this effect. 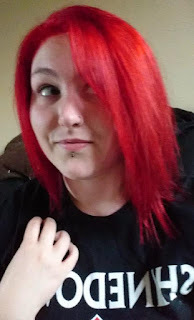 It looks nice and is dark enough to make a difference. This can be bought from a few different shops, I've mainly seen it Body Care and it's priced around £1.95. Another mascara that I love is from Miss Sporty. It's their volumising mascara and coats the lashes well. 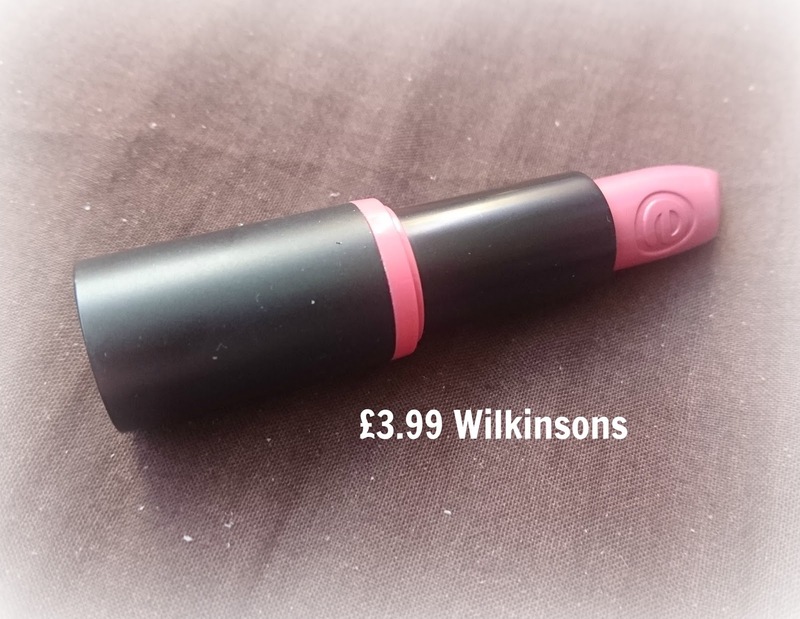 It creates a volumising look so works well to define the eyes on its own and it only costs £3.99, which isn't bad for a good quality mascara. Keeping lips nourished is an important thing, regardless of wheher you are at school, college, work, or at home! There are LOADS out there and some are tinted, which is good for keeping your lips hydrated and also adds a bit of colour to them. My favourites are Maybelline's Baby Lips, and these come in quite a few different colours and scents. The colours are quite sheer but do add a little something to your lips, which is good for a subtle difference. Another good place for lip balms is The Body Shop. I have one of their natural colours, so it doesn't really show up on my lips but it tastes and smells amazing! It's a very true fruity scent that lasts a long time, but isn't overpowering and really does add moisture to your lips. I'm not too sure on the price, however, as I got this free with one of their offers! On to lipsticks! Lipsticks obviously come in many different shades, but there are those certain shades that people choose just to enhance their lips - their 'my lips but better' lipsticks. Lots of affordable brands do lipsticks but I find that lipsticks are one of the main products that can be an absolute flop with cheaper brands. I've had some lipsticks from MUA that don't add ANYTHING to the look of my lips, so I'd definitely recommend trying out testers before getting any. But one brand that I have found I like for lipsticks is Essence. I got one of their natural colours from a Glossybox a few months ago and it's a nice everday, wearable shade. 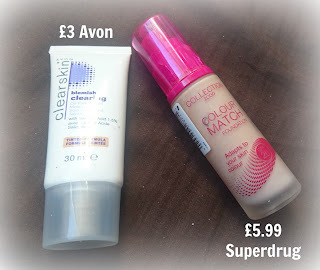 Essence do have many good products and I've been finding myself using more and more of their stuff! I'm not sure on how much they cost, I think it's around £3.99, but I know that they are available in Wilkinsons! 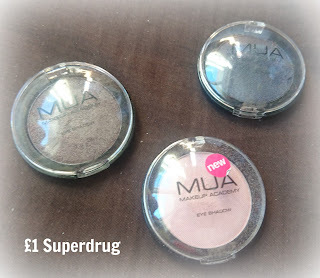 It may sound silly, but I have found many good makeup products in Poundland too. They have little packets, which have many well known brands in them for obviously, £1! I love going rummaging through here as I often find things that are a great bargain and work really well. I'm not sure why they are there, maybe they are faulty in some way, but I know that a few things I have picked up have been worth the pound I've spent! So if you are struggling with budget for makeup, go bargain hunting in shops and see if they have any discounted makeup! So those were my affordable recommendations, I hope this has helped with the idea of the new school year looming! If you decide to try any of these out, please let me know what you think of them! Schools can be difficult with makeup, I know that many of my friends have been shouted at for silly things but rules are rules! Anyway, good luck with school and I'll speak to you next week! Love a great lip balm for the coming winter! 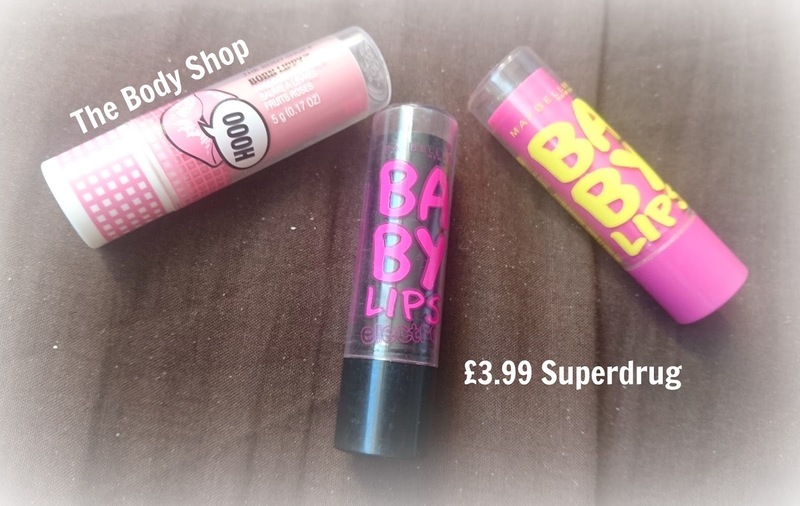 Haven't tried the Baby Lips, might grab a couple!